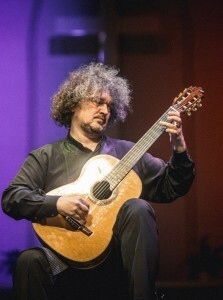 Zoran Dukic is one of the most distinguished classical guitarists of our time. His concert performances, both as a soloist or with an orchestra, leave long-lasting impressions on both audiences and critics. Zoran Dukic is the only guitarist to have won both “AndrÃ©s Segovia” competitions, in Granada and in Palma de Mallorca. Showing astounding mastery in a wide variety of musical periods and styles he has also won competitions dedicated to “Fernando Sor”, “Manuel Ponce”, “Manuel de Falla”, “Francisco Tárrega” among others.